San Diego’s Connect, which runs a tech and life science startup accelerator, recognized seven local companies Thursday night at its 31st annual Most Innovative New Product Awards (MIP) gala. Winners were picked from the 23 finalists that advanced through an earlier round of selections in the spring. The seven companies that won were chosen by a panel of judges to which each finalist pitched last month. “The companies and products showcased in this event demonstrate the incredible talent and drive that exists in San Diego’s innovation ecosystem,” said Greg McKee, Connect’s CEO, in a prepared statement. Citadel Defense’s counter-drone technology system, Citadel Titan, can detect and classify drones using advanced algorithms and, using electronic countermeasures, disable drones that are threatening combat troops. It’s being used by the U.S. military today. Primo Wind’s EnergiPlant, a self-charging installation station intended for public areas where there is no access to power, uses a wind turbine and solar panels to power features such as lighting, security cameras, a noise detector, Wi-Fi, and USB ports. Formalloy’s L-series 3D metal printer is the first system to utilize a blue wavelength laser (as opposed to the near-infrared laser used in conventional 3D printing) for additive manufacturing. Formalloy claims the system, which can process a comprehensive range of metal alloys, builds products faster than competing technologies. Qubitekk’s Quantum Transceiver is used to transmit and receive the cybersecurity encryption technology the company has developed for defense and energy applications. The company uses quantum computing, rather than algorithms, to encrypt communications. 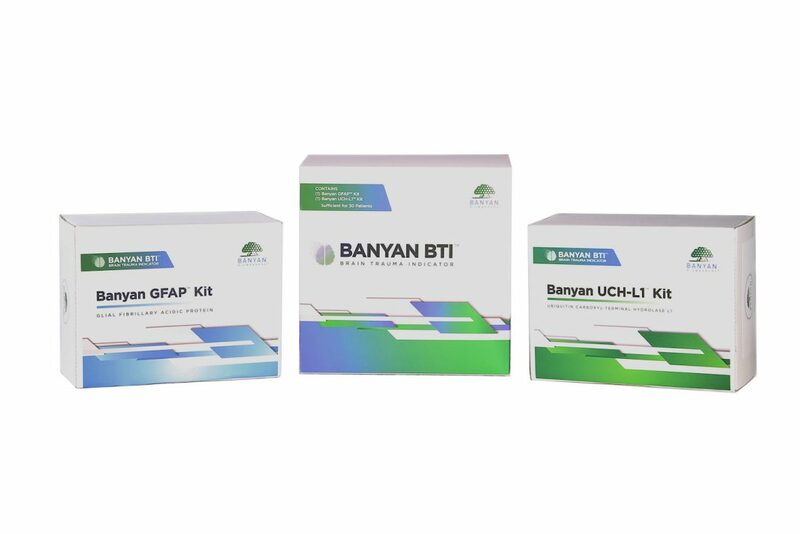 Banyan Biomarkers created the first blood test that can help diagnose patients that are suspected of having sustained a concussion, also known as mild traumatic brain injury. Called BTI, for Brain Trauma Indicator, the test measures levels of two proteins. Biological Dynamics’ OmniVerita is an automated benchtop analyzer that is being developed to monitor treatment response for cancer patients. The product tests blood samples for cancer biomarkers in as little as 30 minutes. Conventional diagnostics typically take hours or days. StemoniX’s microBrain 3D Assay Ready is a genetically engineered model designed to resemble a human cerebral cortex. It is meant for use in disease modeling, drug discovery and development, and toxicology studies. To be eligible for the MIP award, each product had to have been introduced in 2016 at the earliest (except for the clinical-stage life science products) and have generated revenue from sales (except for free mobile apps). No product was considered if it had been previously nominated. Connect also inducted a 17th member into its Entrepreneur Hall of Fame at the gala on Thursday: Mark Dankberg, founder and CEO of Viasat (NASDAQ: VSAT). The organization also on Thursday recognized Peter Ellsworth, the former president of Sharp Health Care and current president of the Legler Benbough Foundation, which has distributed millions to local nonprofits, with the Duane Roth Award for Distinguished Contribution in Technology. Eric Topol, founder and director of the Scripps Research Translational Institute and executive vice president of Scripps Research, was also given the Duane Roth Distinguished Contribution Award for Life Sciences.